It’s happened to all of us. You spend a couple of hours at the salon and invest a good amount of money, and you leave feeling great and looking fantastic! But then a few weeks later your color has faded and you look washed out again. This is the worst, right?! Well we are here to help. Here are a few tips to help with that annoying premature color fadage. It’s not a fool-proof plan because, let’s face it, color fades! But this should help you keep your hair looking great for A LOT longer. First and foremost get yourself a really good sulfate-free shampoo. Sulfates are added to shampoo to create the suds and foam you are traditionally used to when washing your hair. In this aspect, they’re a great cleanser for hair and scalp. However, they can dry out hair and strip your own natural oils which causes color fadage. Check the ingredients for anything with the word sulfate in it, such as sodium laureth sulfate and sodium lauryl sulfate. 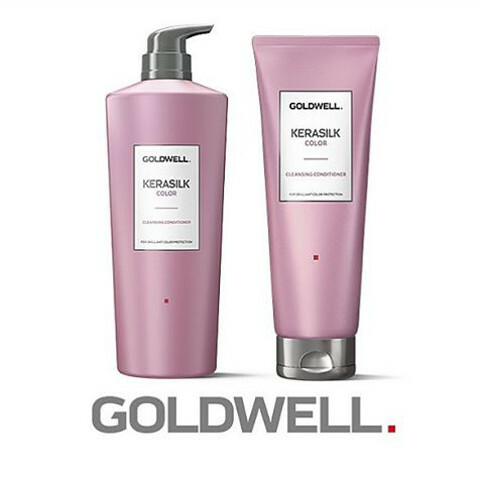 We highly recommend our Goldwell Kerasilk Color Shampoo. 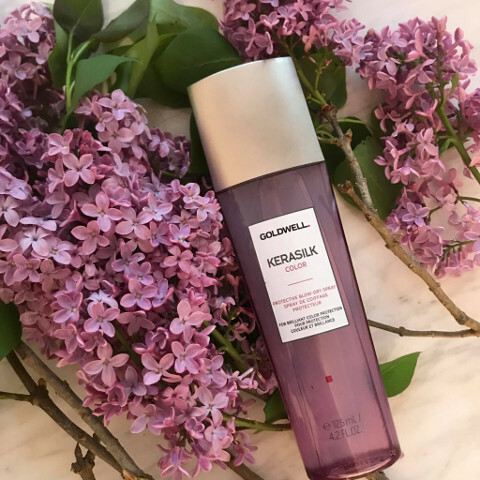 Not only is it sulfate-free, but it has Tamanu Oil which moisturizes and supports brilliant light reflection; colored hair is kept brilliant and shiny for up to 6 weeks longer. Another big help – do NOT wash your hair too often. Every other day is fine, at the most. If you can go more than that in between, that’s even better. If you absolutely feel like you need some kind of cleansing every day, we recommend a dry shampoo or a cleansing conditioner. 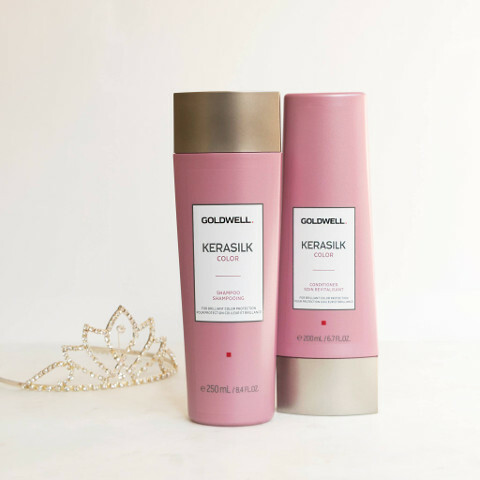 A dry shampoo will absorb any oil you may have at the scalp while giving your hair a little volume and a yummy smelling scent. If you feel like you need to do something in the shower, let’s say after a workout, than a cleansing conditioner might be for you. You apply it to a wet scalp and massage thoroughly, then rinse. However, it is not as stripping as a shampoo can be so it can be alternated every other day with your regular shampoo. Lastly, TAKE CARE OF YOUR HAIR! If you use heat tools for styling, invest in a good heat protector spray. 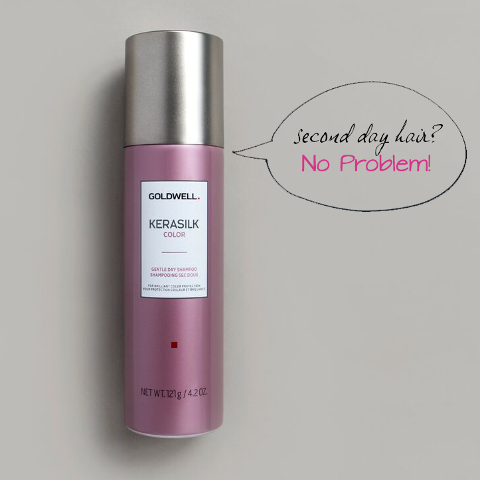 Many also help with smoothing and shine – that’s a win, win! Also, if you’re going to be out in the sun, use a product with SPF in it, or get an absolutely adorable sun hat. And if you will also be swimming, either in chlorine or salt water, you must wet your hair first with tap water or bottled water. Dry hair absorbs more of the bad stuff in the water. If you can wet your hair and leave in a great conditioner – even better! Hopefully, after applying these suggestions, your color stays put so much longer! All of the products pictured can be found at our very own Salon Tereska. And if you do not find these tips have helped you, come see us and we can hopefully steer you in the right direction.